On my recent trip, I had a couple of very lengthy plane rides. (I never realized how long South America is!) In planning ahead, I brought along two quick scarf patterns to pass the time. 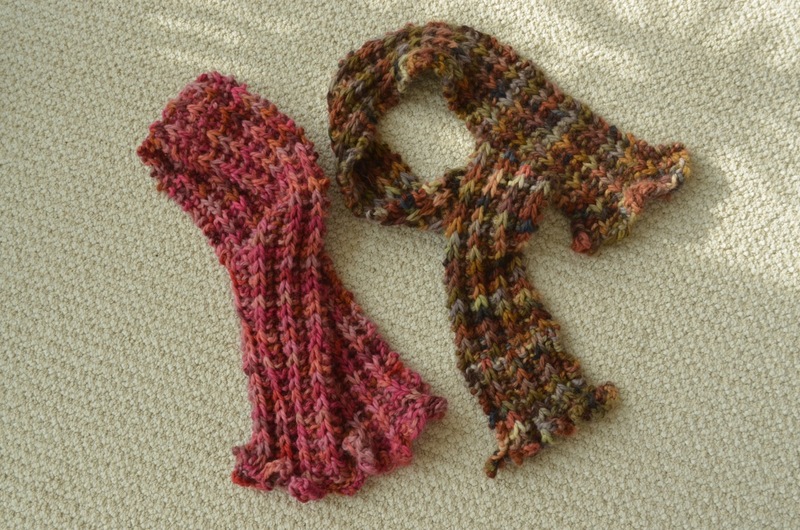 Both are extremely easy, using only basic garter stitches and slip stitches. They are also both great for traveling since they require only one skein of yarn and there are only 15 stitches or less on a needle so 9 inch needles suffice. This first scarf has been really popular in Rochester guilds and clubs this winter. 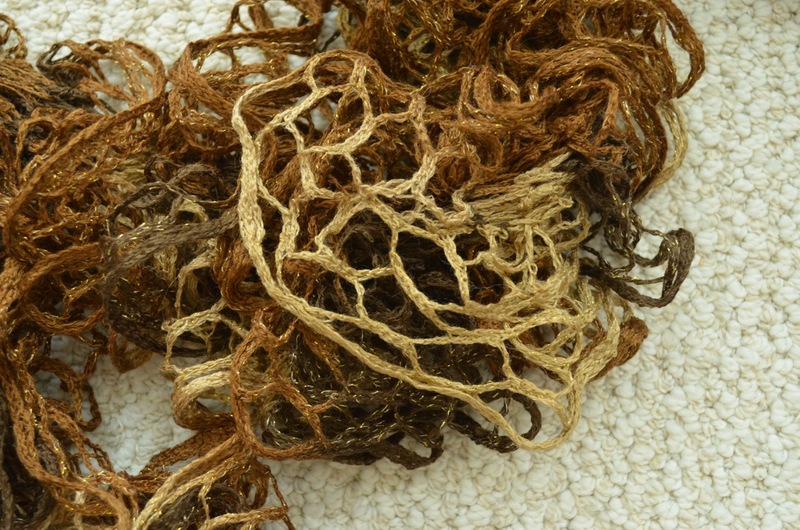 The 'yarn' is a condensed web acrylic where you garter stitch back and forth across one edge. The result is a dramatic ruffle if you use the Katia Triana Lux. 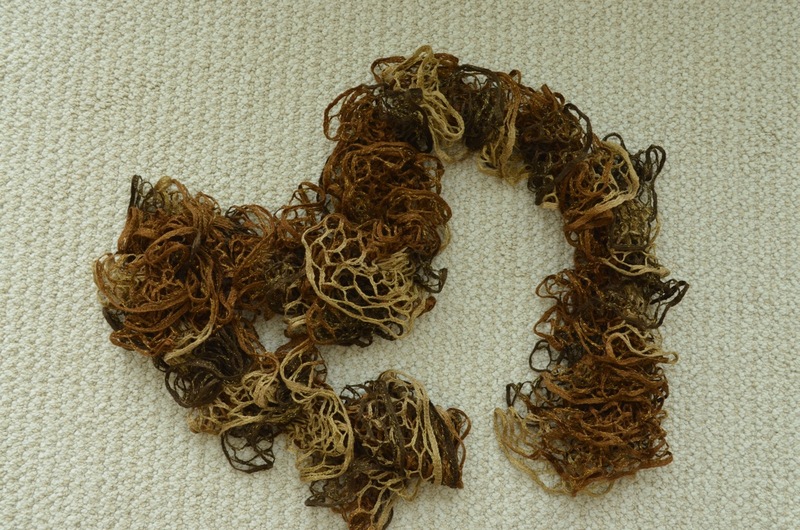 There are other brands of 'webbing' available that also create really great looking scarves. I simply like the depth of the Katia Triana Lux webbing. Here is a link to a You Tube video on how to knit a Katia Triana scarf. 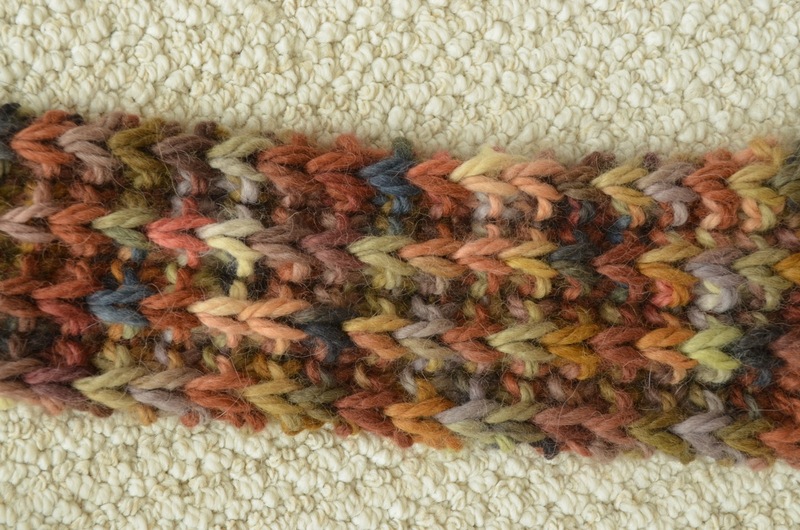 This scarf was made with Misti Alpaca and is so incredibly soft. It is the easiest pattern - only 15 stitches. I made one on my trip and had someone ask if I would make another. With size 9 needles, the scarf grows in length amazingly fast. 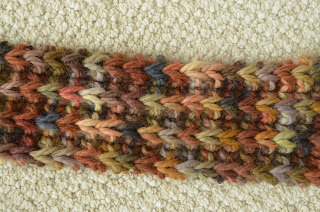 Here is a link to a free pattern for the scarf.